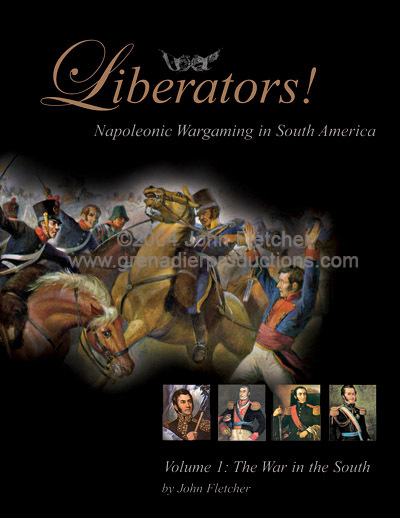 Cavalry (Hussar Dolman Command) [MC-04] - $7.20 : Grenadier Productions,, Home of Liberators! 12 figures: 2 Officers, 2 trumpeters, 2 troopers and 6 horses. 1 pose each for Officer and trumpeter, 2 poses each for troopers and horses. 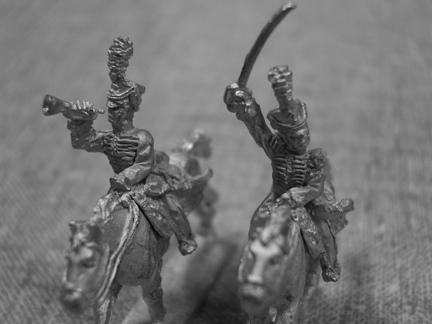 Use this pack for command stands of Cavalry (Hussar Dolman) units. Officer has an epaulet on each shoulder, making him a captain in Royalist service. In Argentine or Chilean service the officer is a Sergeant-Major (equivalent to Major), Lieutenant Colonel or Colonel.